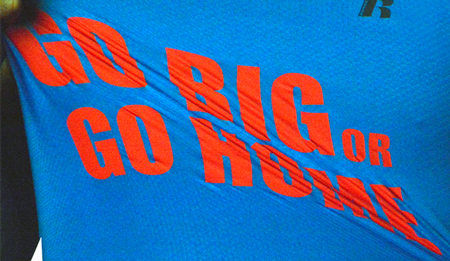 You may have seen or heard that our Logical Color line of heat transfer films has expanded. A lot of our customers loved the GlitterSOFT and WarmPEEL Universal, but wanted more options. So we huddled together, came up with some stretch goals, and added five new Logical Color t-shirt vinyls, including three printable t-shirt vinyls, WarmPEEL CP and, WarmPEEL CP Stretch. WarmPEEL Universal is pretty thin, so why did we add a stretch t-shirt vinyl? 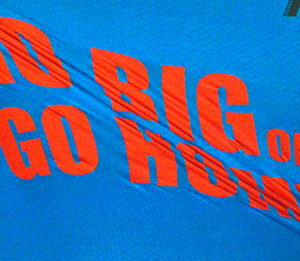 Because more of your customers are demanding custom transfers on challenging performance apparel. Biker shorts, Danskins, leotards, yoga pants and the like are a hot new market for custom heat transfer decals. For these challenging applications, you need something a little softer, a little thinner. You need WarmPEEL CP Stretch. Logical Color WarmPEEL CP Stretch is a premium quality, Polyurethane heat transfer film made for application on demanding fabrics that require exceptional stretch and rebound characteristics. Fabrics like Lycra spandex, Elastane, and similar high performance blends require a film that moves with the material but doesn’t crack, peel, or pucker. WarmPEEL CP Stretch is a 3.9 mil PU T-shirt vinyl available in black, white, red, yellow, green, and royal blue. WarmPeel CP Stretch t-shirt vinyl comes on a self-adhesive, clear, polyester liner which supports easy cutting and weeding. It also helps in maintaining position of small characters that may come loose during weeding. Active wear for sweaty grownups isn’t the only target application for WarmPEEL CP Stretch. Onesies for plump little tykes are a great space for profitable garment decoration. Since Logical Color films are CPSIA Certified, you can market to parents with confidence. And, as the name implies, this is a warm peel film. That means you are ready to remove the liner just a few seconds after the heat press has stopped beeping. Pick the shirt up off of the platen, get some cool air in there, and you’re ready to peel the liner and move on to the next garment or layer. You can peel it cold if you prefer. The instructions for WarmPEEL CP Stretch are similar to those for WarmPEEL CP. Here’s the process from start to finish. A heat press is required. We do offer some heat transfer products that can be applied with an iron. This is not one of them. If you don’t already have a heat press, please step aside for a moment and put one of these in your shopping cart. Now, on to the instructions. Design your image in vector software and reverse, flip, or mirror it before sending to the vinyl cutter. Load the film shiny side down. Use a sharp 45° plotter blade and approximately 80 grams of force. Cut and weed a test pattern before proceeding with the job. Weed away the excess film and place the graphic shiny side up, ‘right reading’ on the apparel. Press with medium-to firm pressure for 15 seconds at 320°F (160°C). Wait 3 – 5 seconds and remove the liner warm. Or remove it at your leisure. Click here for a short How-to Video demonstration. Cutter force settings and troubleshooting tips are included. WarmPEEL CP Stretch comes in 12″ and 20″ widths, so it’s suitable for use in anything from a Silhouette craft cutter to a Vinyl Express Q24. Roll lengths range from 3 to 30 feet. The 12″ x 3 foot rolls are perfect for startups and crafty folks. 12″ x 3 foot rolls start at only $8.99. If you’re outfitting a full size shirt business, 20″ x 30 foot rolls may be a better choice. If you’re not sure what size suits you, click here to start shopping. The next time you get a request to add letters or logos to Lycra Spandex or some other ‘active wear’ apparel, reach for our new stretch t-shirt vinyl. You’ll get the elasticity you need, plus all the other great feature of Logical Color’s WarmPEEL CP heat transfer film. Easy plotting, great weeding performance, and the efficiency of a warm peel film that sticks and stays put. And with only six colors, it’s easy to keep the entire range on hand.